France on Saturday banned the breeding in captivity of dolphins and killer whales under tighter rules that campaigners hope will eventually herald the end of shows involving the animals. 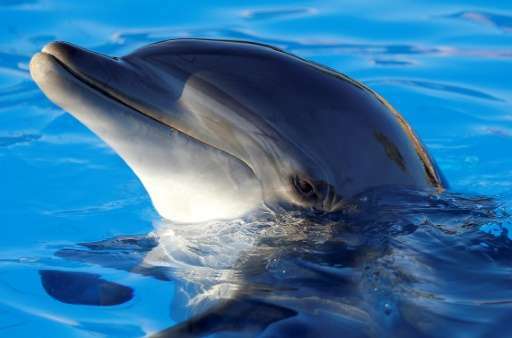 Environment Minister Segolene Royal had on Wednesday signed a version of the legislation introducing "tight controls on the reproduction of dolphins", her ministry said in a statement. But she has since decided the rules need to be "more radical", her ministry told AFP on Saturday, particularly after learning that "some animals were drugged" in aquariums. The new rules ban the captivity of all whales, dolphins and porpoises, except for orcas and bottlenose dolphins already held in authorised aquariums. Animal rights activists hailed the ban as a "historic French advance". "In plain terms, this means the end of breeding, exchange and import programmes," five conservation groups including One Voice and Sea Shepherd said in a joint statement. "Without possible replenishment, this quite simply means the scheduled end of marine circuses on our territory." But the move sparked anger from Jon Kershaw, head of the Marineland Antibes dolphin show park in southern France, who told the Var-Matin newspaper it was a "bombshell" for establishments like his. The new rules notably also require "an increase of at least 150 percent of pools to allow the animals to live in less proximity from visitors and other animals", the ministry said, as well as banning chlorine in treating the water. Direct contact between the animals and the public is also now forbidden. Water parks and aquariums have six months to conform to the new rules, and a three-year deadline for expanding their pools. Parks such as Marineland Antibes—the biggest attraction of its kind in Europe—have faced growing criticism in recent years over their animals' living conditions. "...In general, many of the concerns about the physical and mental welfare of the animals were either not well founded...No substantial contra-indications to the keeping of cetaceans have been found which would not apply equally to the keeping of any other wild-caught animal...This is not to say that there are no problems with cetacean keeping, only that the problems are not dissimilar to those encountered in wild-caught animal husbandry in general, and could be solved..."
Animal welfare should be based on science not ideological propaganda from animal rights groups. Moreover, there is absolutely no evidence that the use of chlorination (managed appropriately) has any detrimental effects to aquatic mammals. It is been used for decades as a routine addition to the management of exhibit Life-Support Systems (LSS). Dr Klinowska stated categorically that chlorinated water is completely safe if appropriately managed. As to the claims that animals are "regularly drugged in aquariums", this is both a ridiculous and also an ambiguous statement. I am not aware in all my professional years working with aquatic animals that there was any systematic use of sedated pharmaceutical chemicals with dolphins, which I suspect, is what is being implied. I would also add the France has not banned the breeding of dolphins. This will be allowed if exhibits comply with the increase new standards of pool size. The text only provides for "close control of dolphin breeding", and only "if the configuration and size of the water basins allow". Why breed animals that aren't endangered in captivity? Plenty of them in the wild. More appropriate to rescue sick and injured for temporary display. Captive wild animals make most people queezy, which is how they should feel. Sea world is a colosseum.